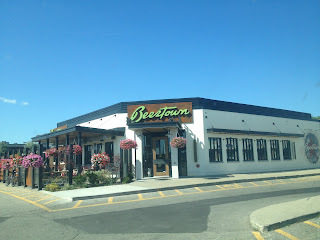 Beertown is a part of the Charcoal Group of restaurants and so far, I've been impressed with this company. 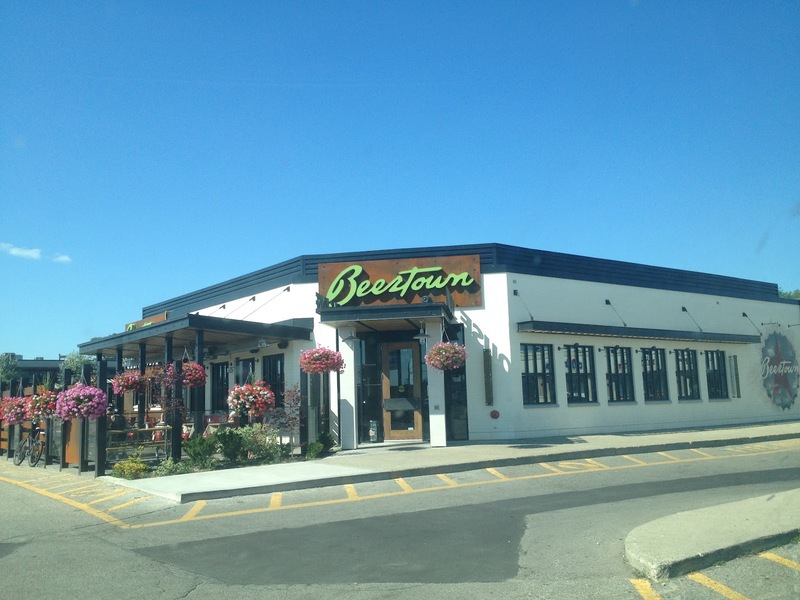 Beertown is a beautifully designed place where the men are nicely dressed, the hostesses are dressed in drab gray dresses and the female servers don't wear much. It's always busy, especially when sports are on one of the many big screen TVs. They boast serving over 100 kinds of beer from all over the world as well as local brews. Besides the beer, this isn't your average pub. 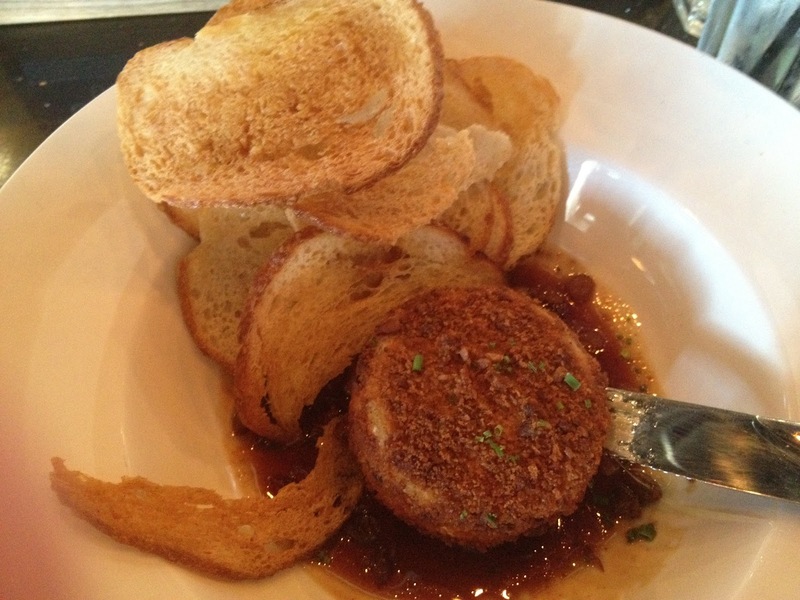 If you wanted regular pub food, go to Crabby Joe's or the Firkin. You will not find regular pub food here! All of the classic dishes are on the menu....with a twist. My first visit was with a large group. I ordered the Pecan Crusted Baked Brie and my friend had the Avocado & Tomato Bruschetta, pictured here. Wow. Talk about flavour! The pecan crust, the creamy brie coupled with the macerated fruits. Rich. 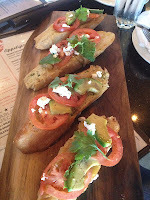 My friend said it was the best bruschetta she'd eaten in her life. Quite the statement considering all of the bruschetta out there! Being completely overwhelmed with the beer menu, many of us ordered their sampler paddles. They're only $10 each and you get 4 small glasses of 4 different beers! 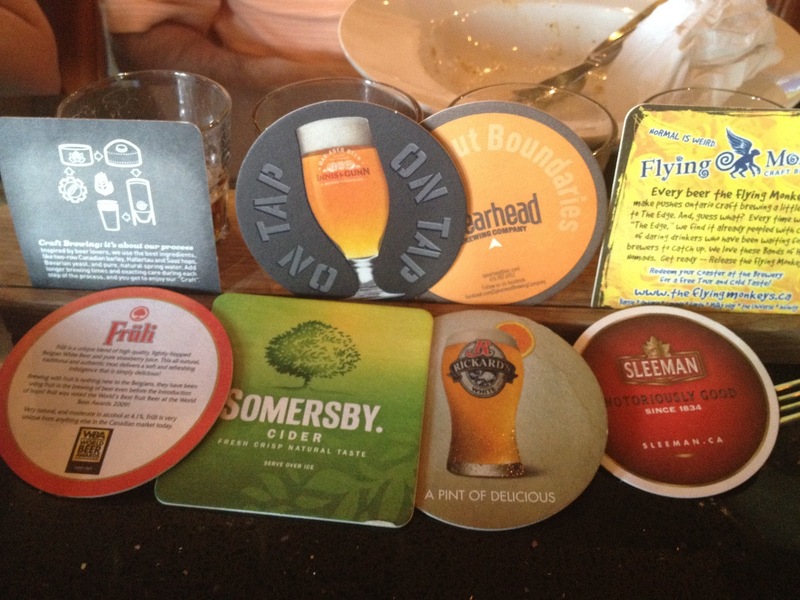 The perfect way to try new beer and much less intimidating than that long list! My second visit was great as well. Consistently good service and our server was great. He gave me his honest opinion about the Spinach Artichoke Dip when I asked. I have a bit of a beef with this dish, since I was so disappointed at the Honest Lawyer. I wanted to love it again and I do! He assured me it was not from a jar and it was made there. You could definitely taste the difference! Like I said, this place is always busy. The only negative comment I can make, is that it was pretty loud in there. The restaurant was packed and each TV had sports on. That's all I've got. It's a fun place to be and has great energy. If I didn't know where to eat, I'd eat here.